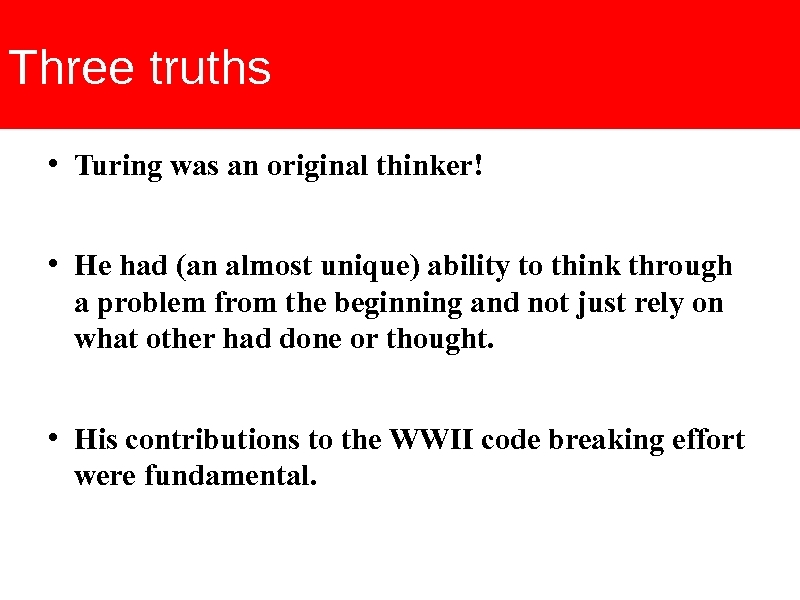 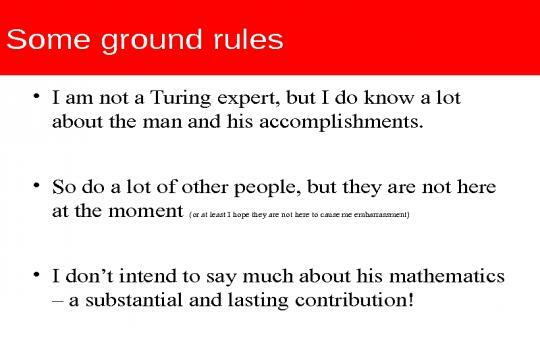 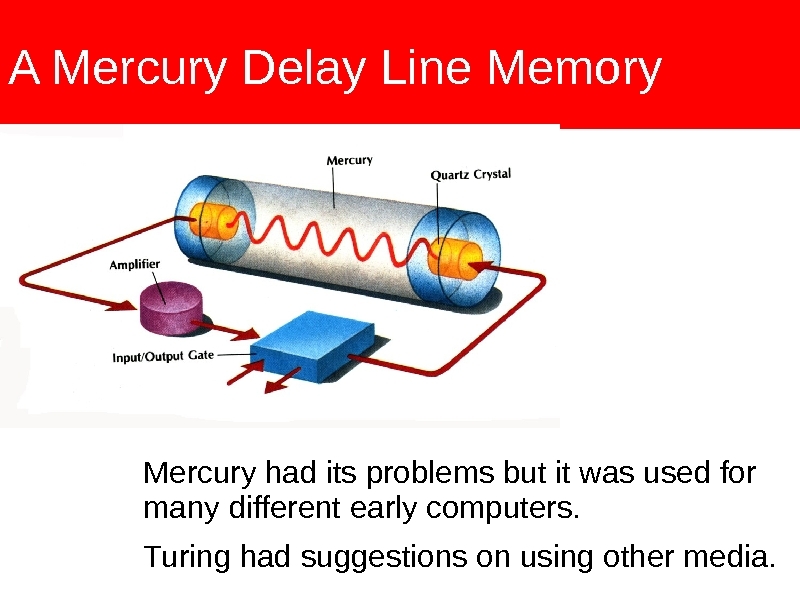 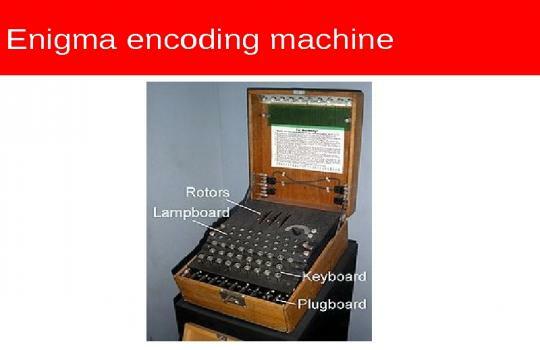 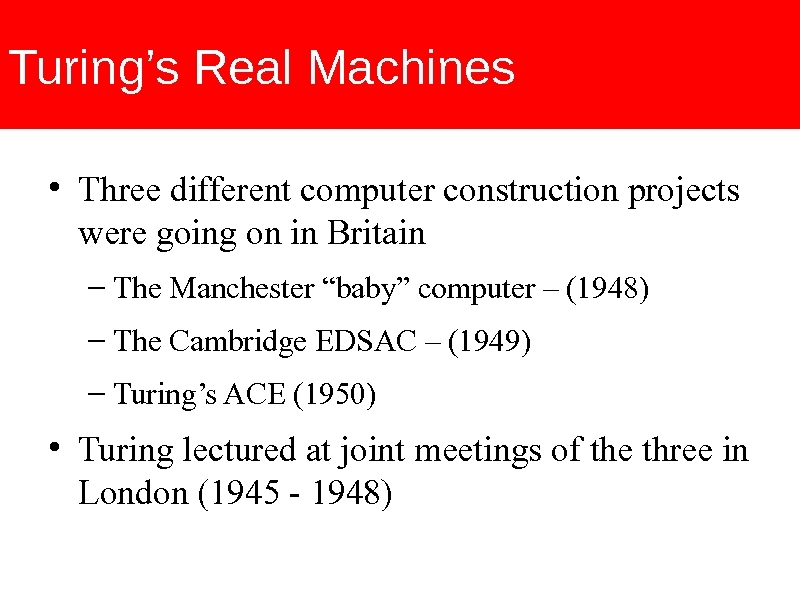 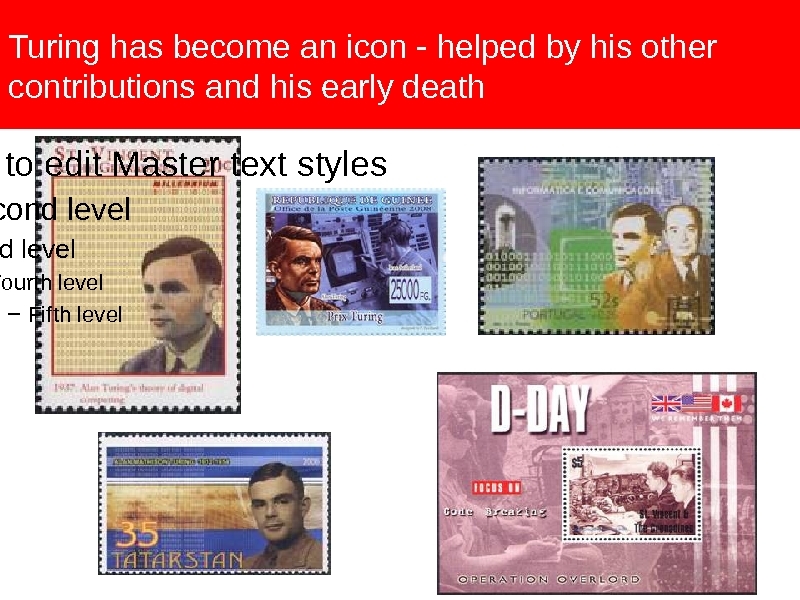 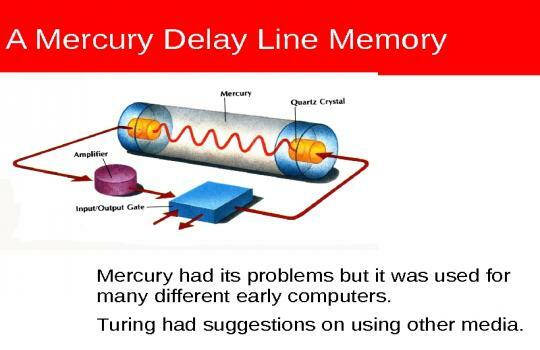 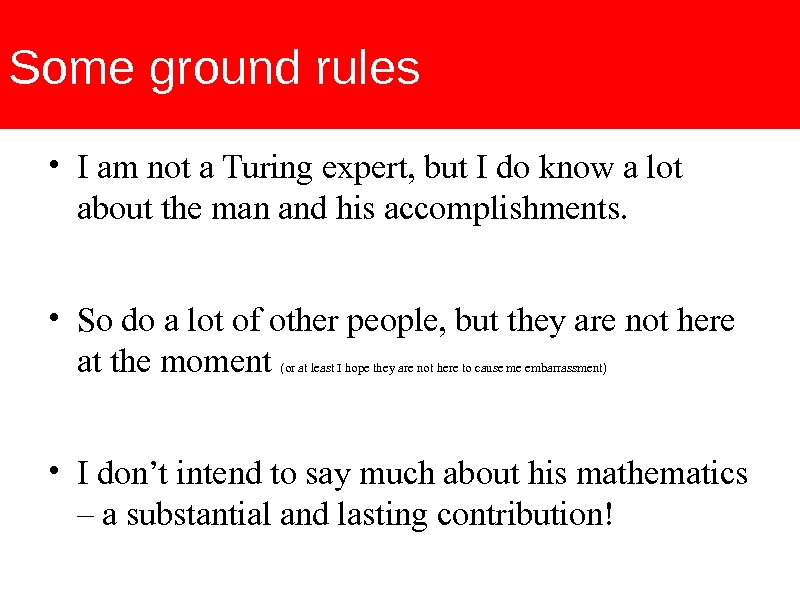 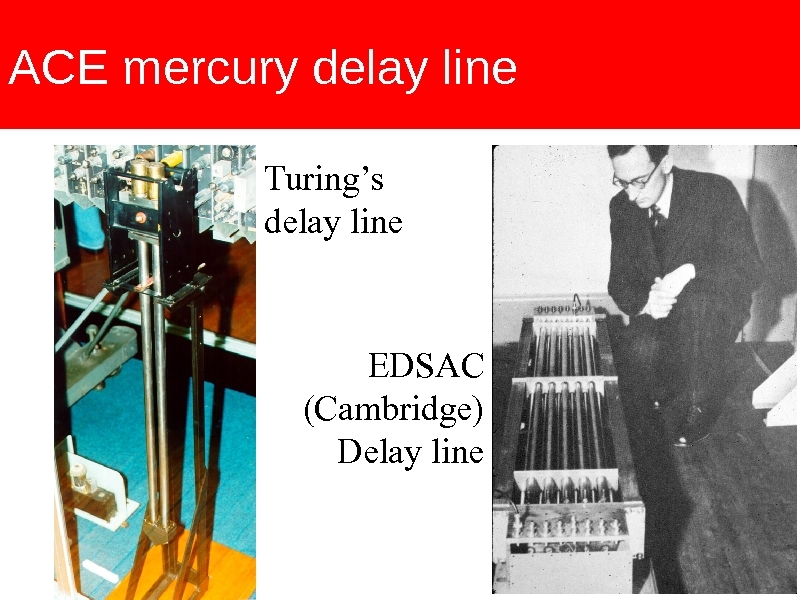 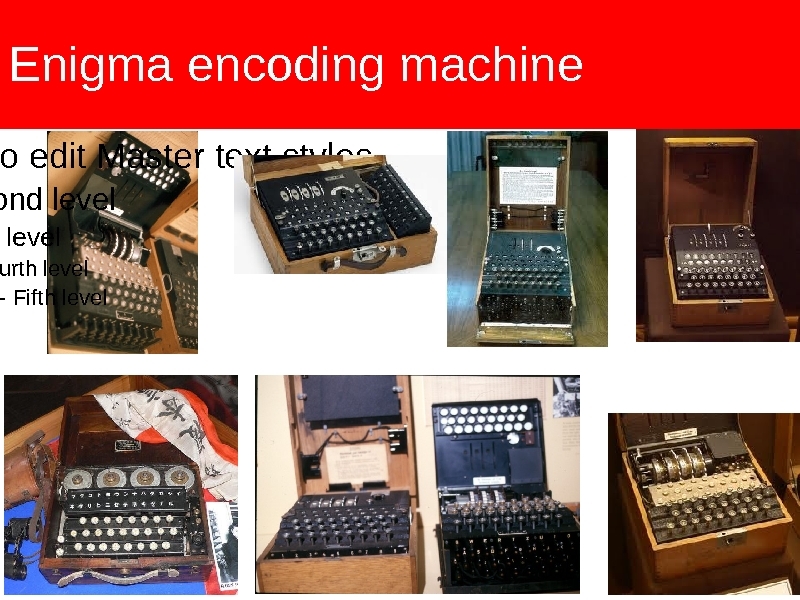 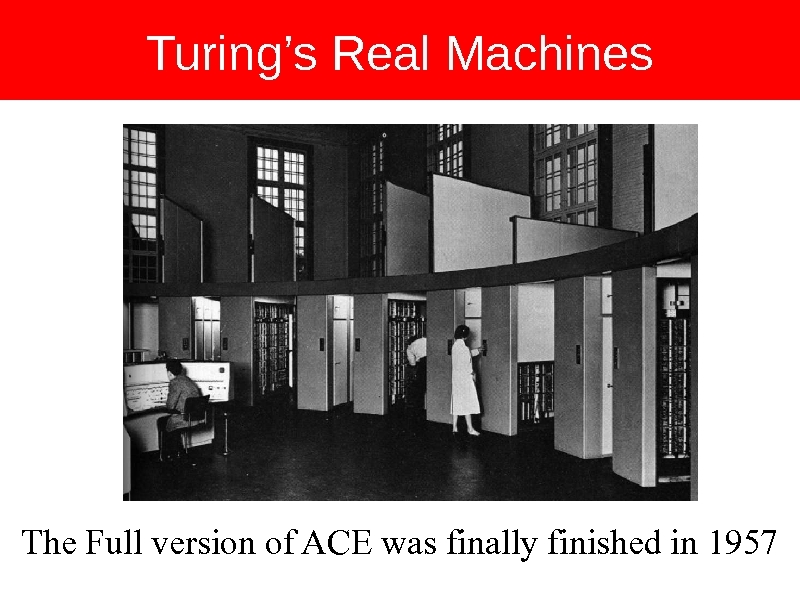 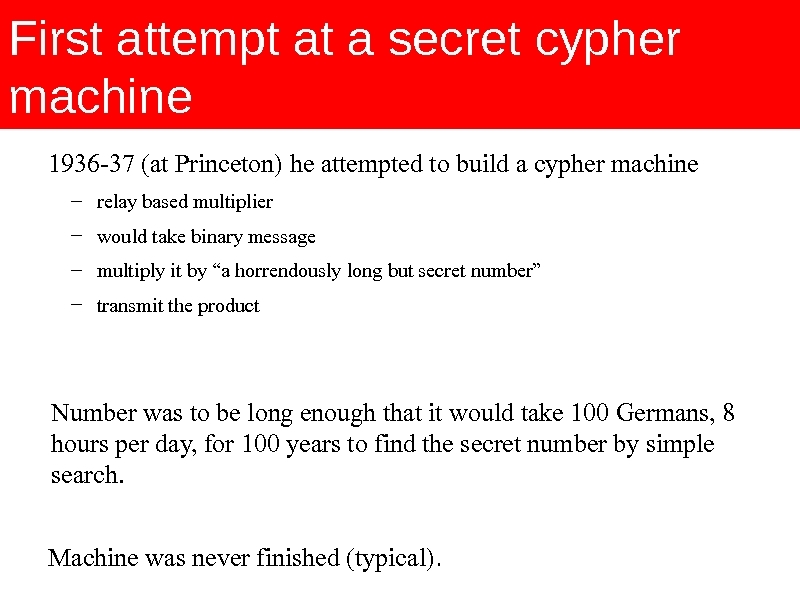 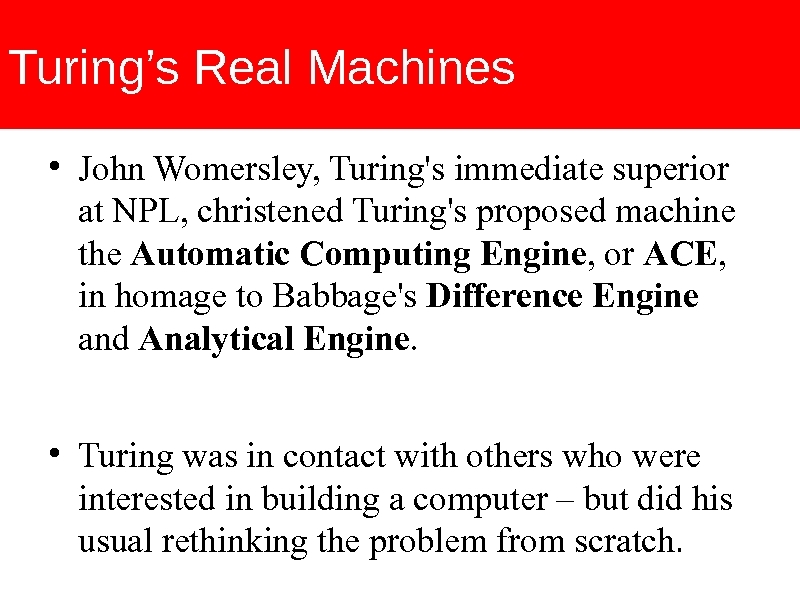 While Turing is best known for his abstract concept of a "Turing Machine," he did design (but not build) several other machines - particularly ones involved with code breaking and early computers. 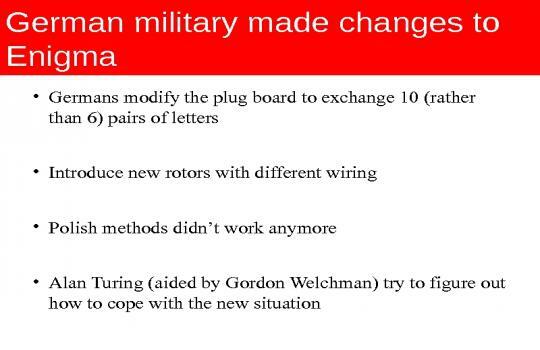 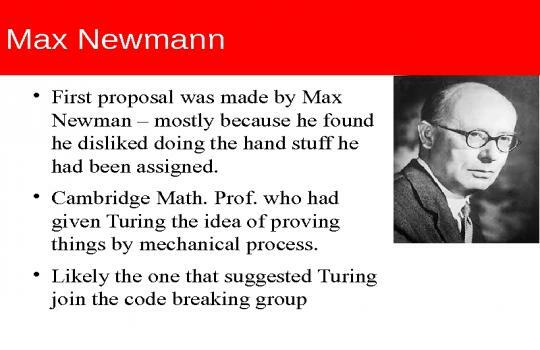 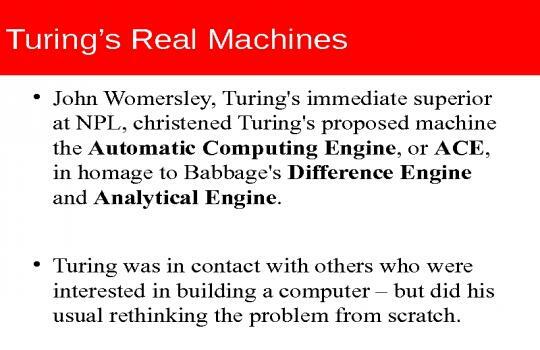 While Turing was a fine mathematician, he could not be trusted to actually try and construct the machines he designed - he would almost always break some delicate piece of equipment if he tried to do anything practical. 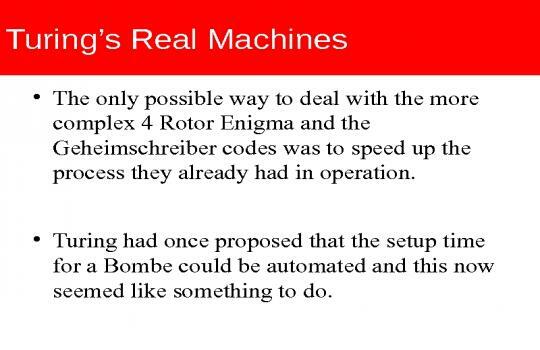 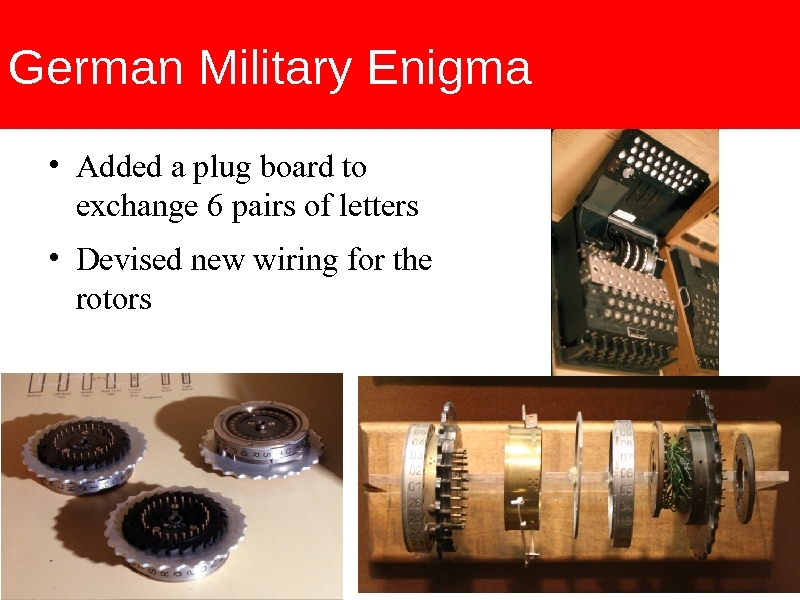 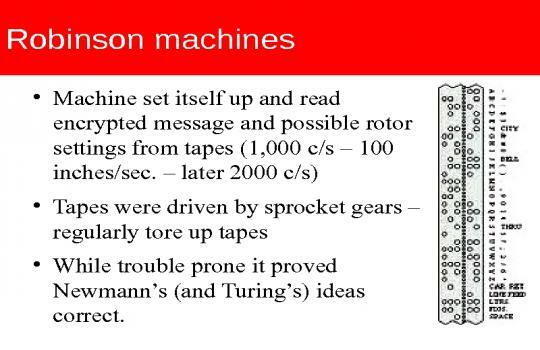 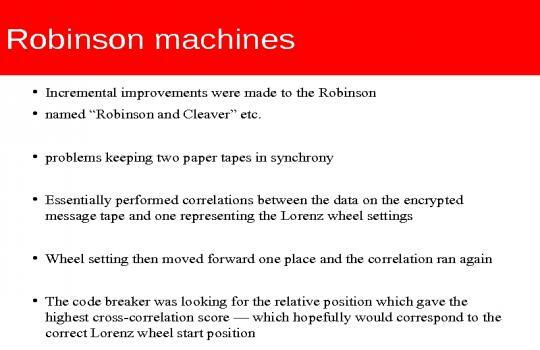 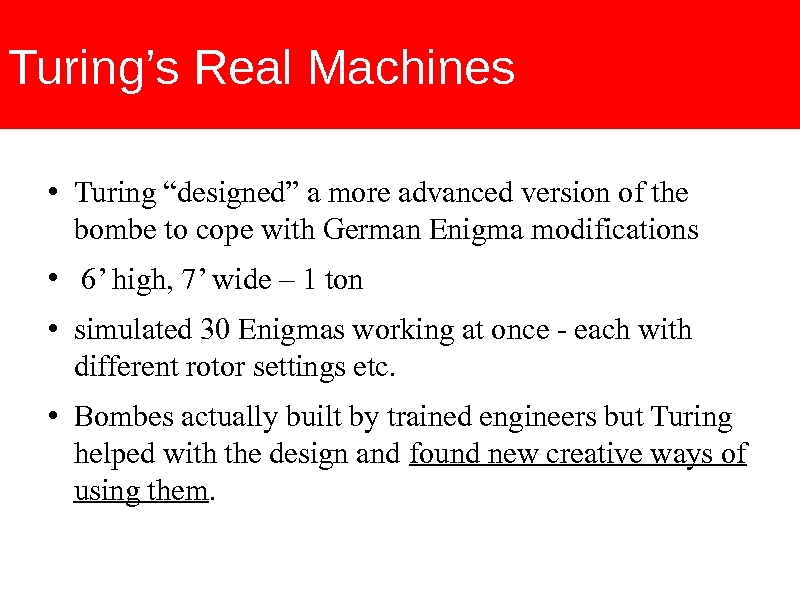 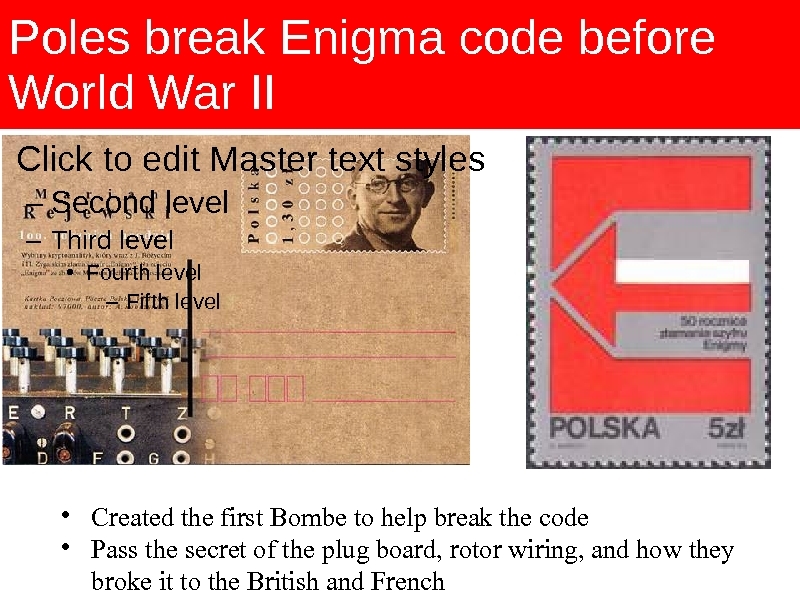 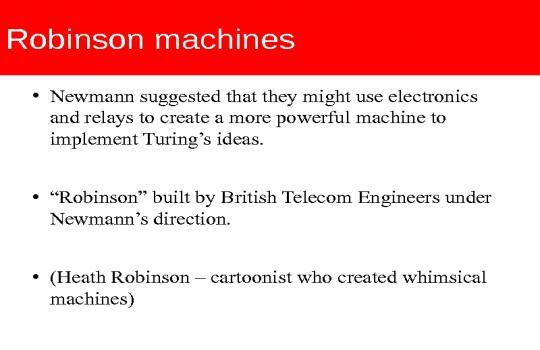 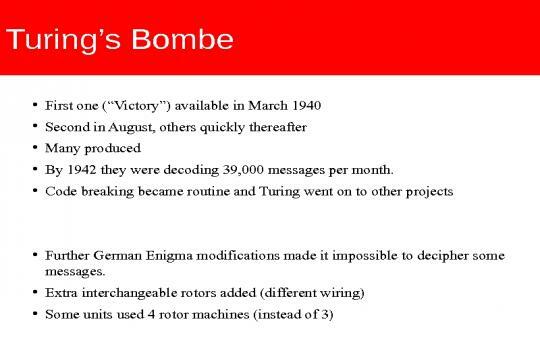 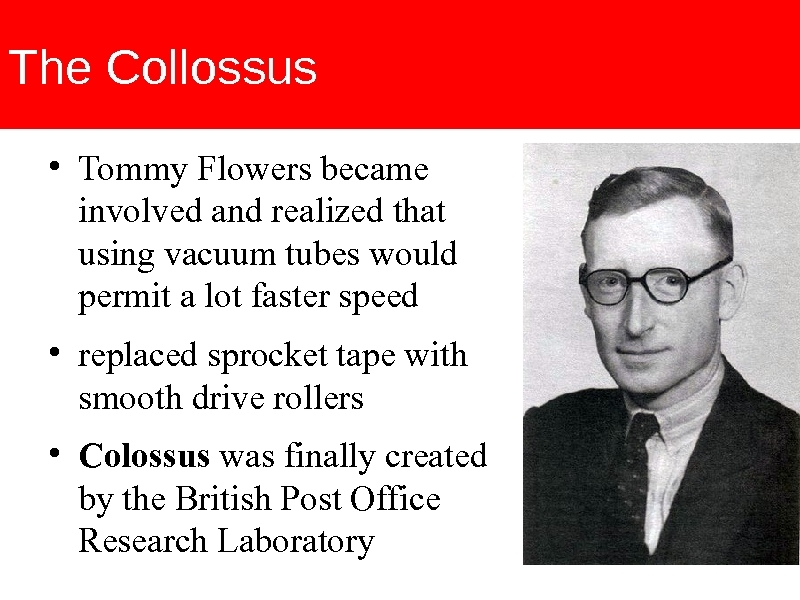 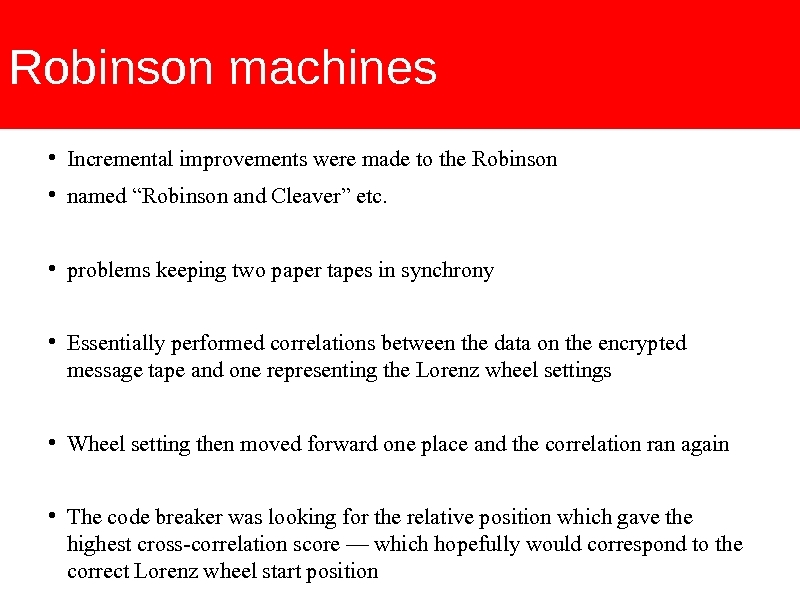 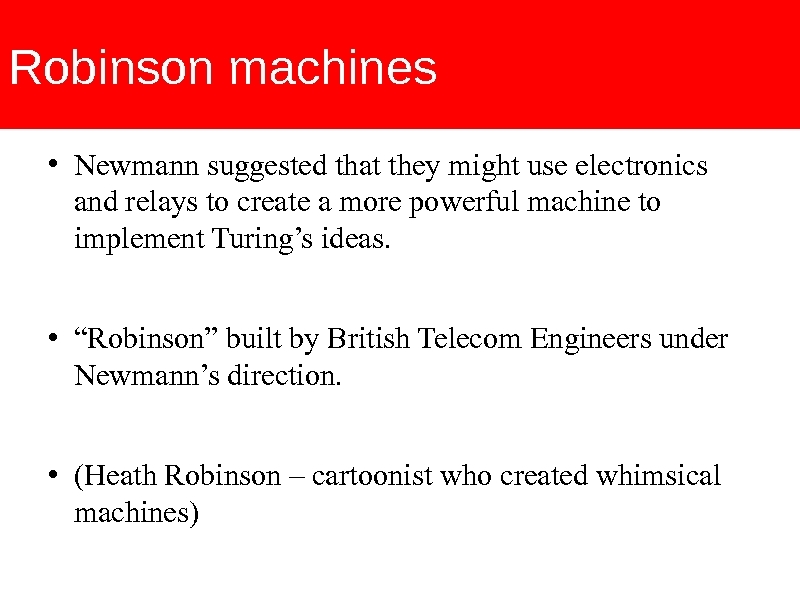 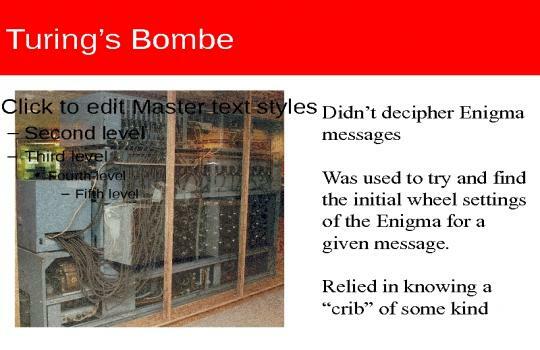 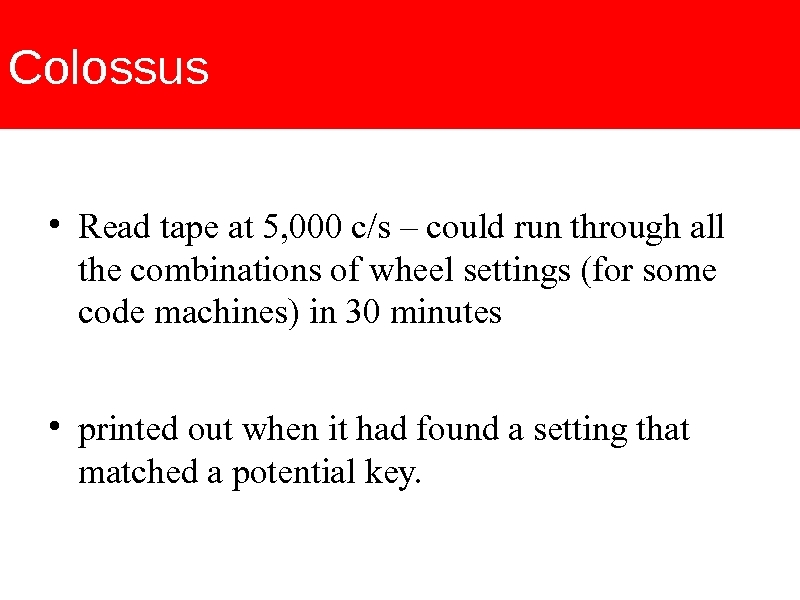 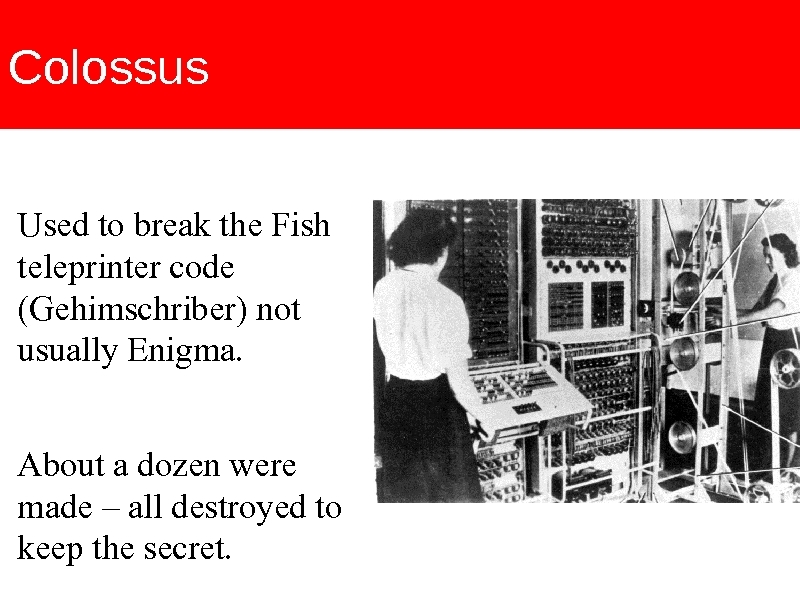 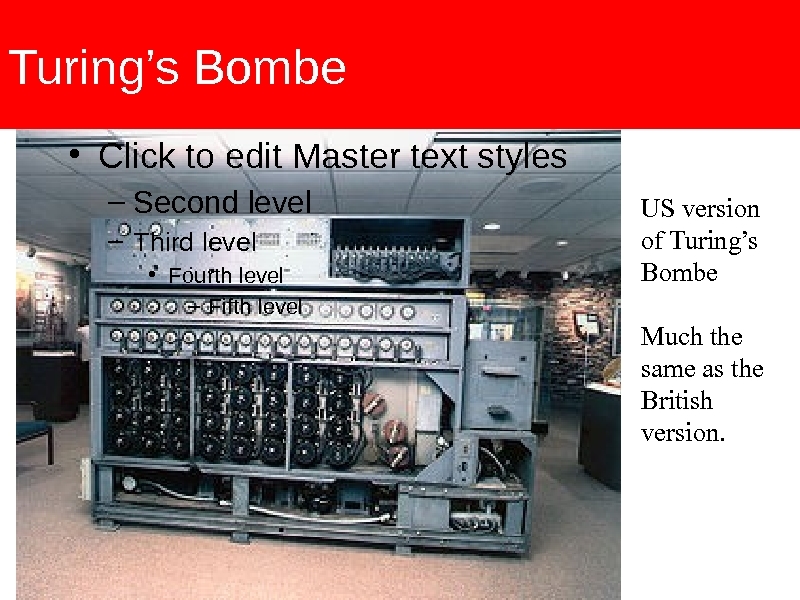 The early code-breaking machines (known as "bombes" - the Polish word for bomb, because of their loud ticking noise) were not designed by Turing but he had a hand in several later machines known as "Robinsons" and eventually the Colossus machines. 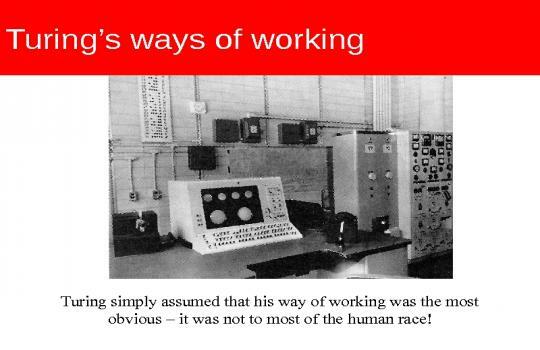 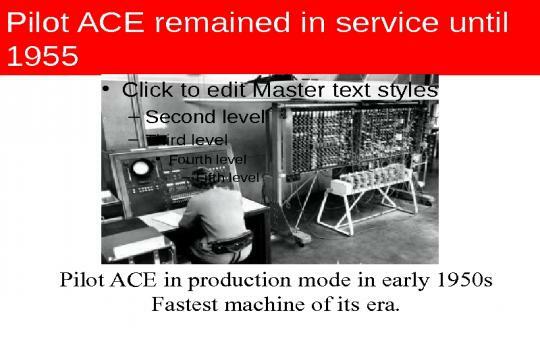 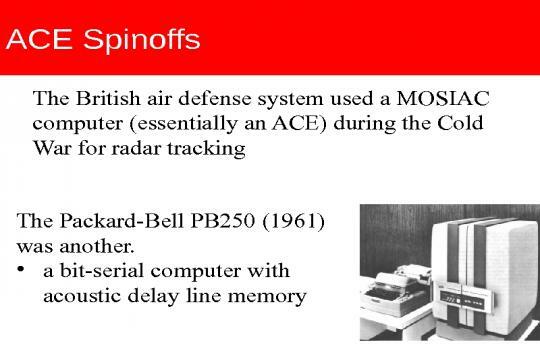 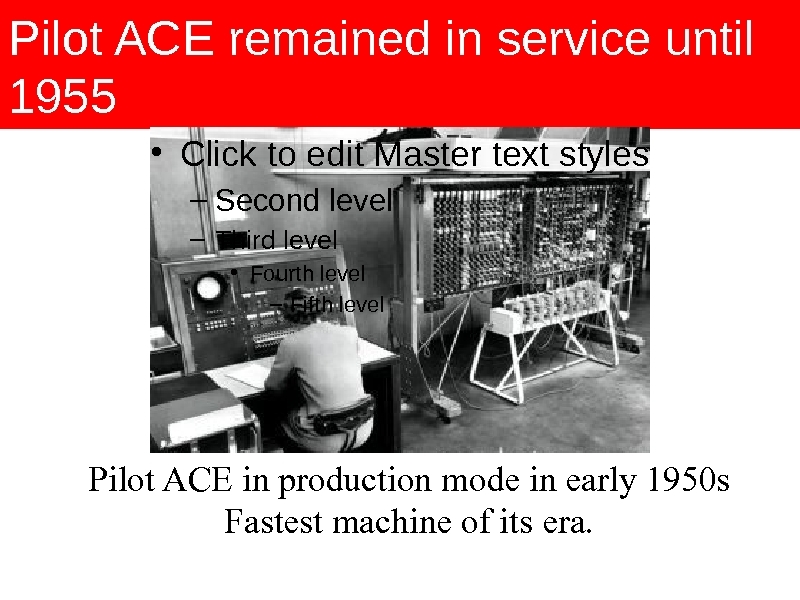 After the War he worked on an electronic computer design for the National Physical Laboratory - an innovative design unlike the other computing machines being considered at the time. 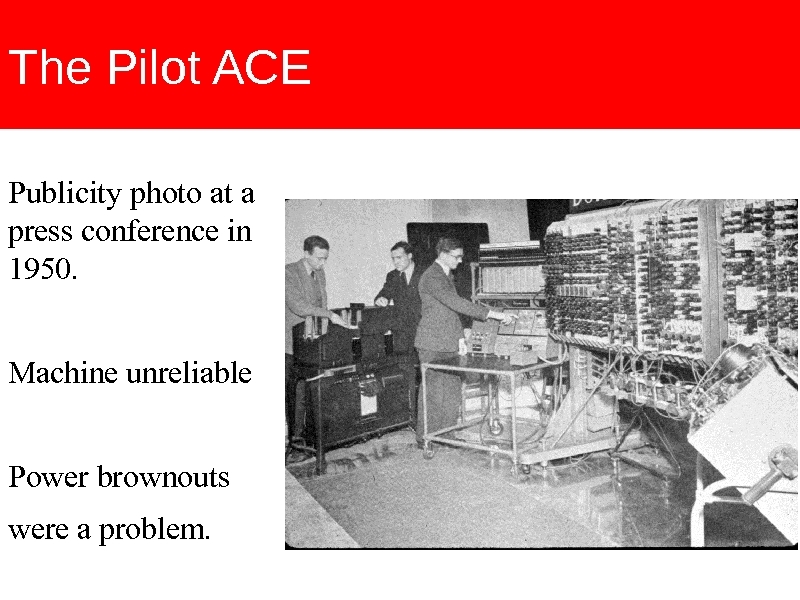 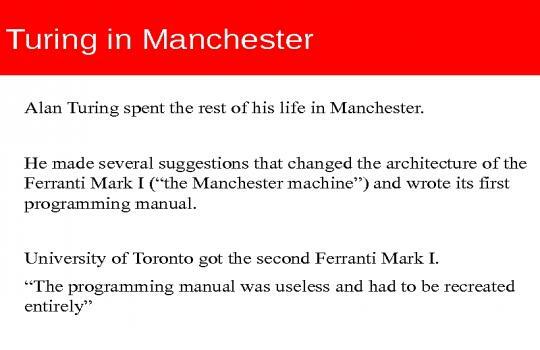 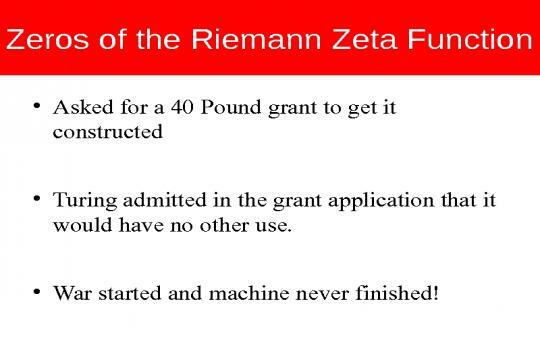 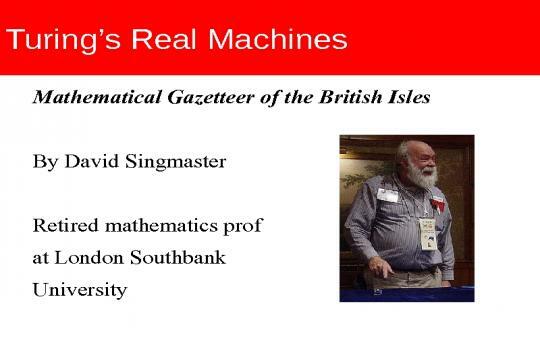 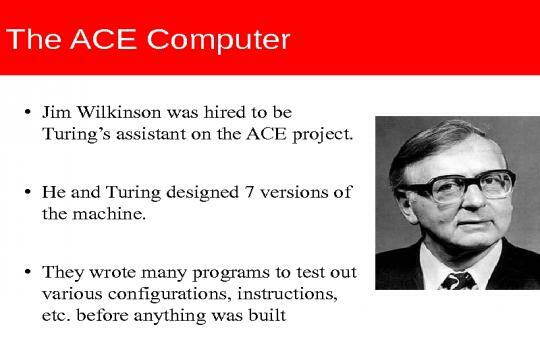 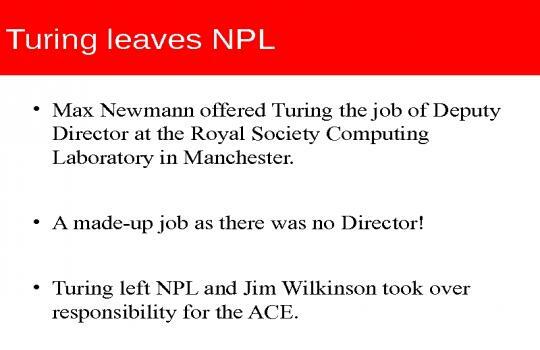 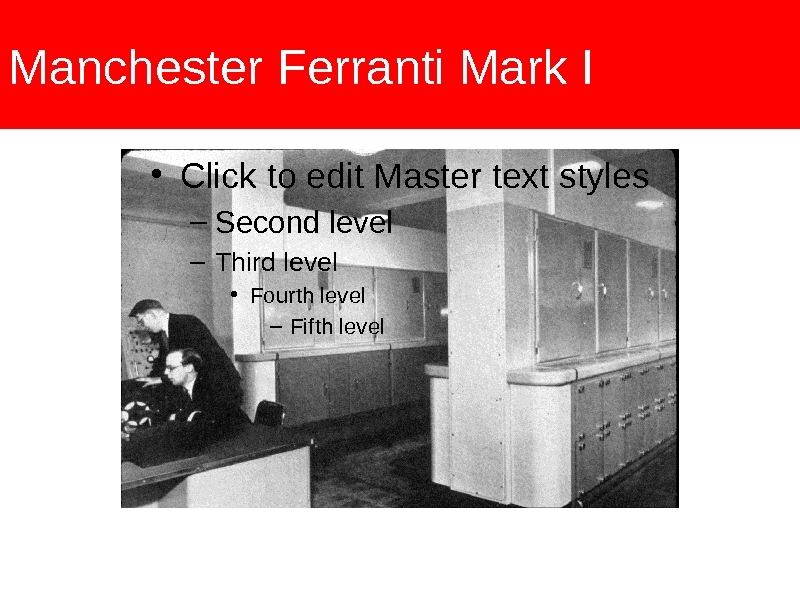 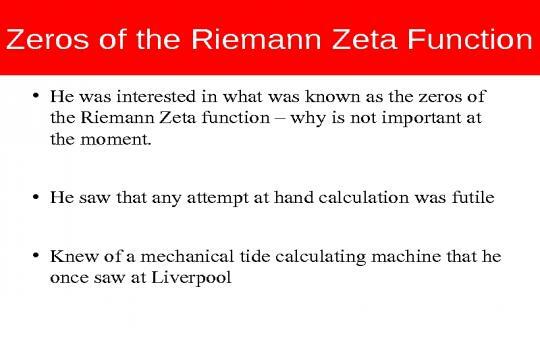 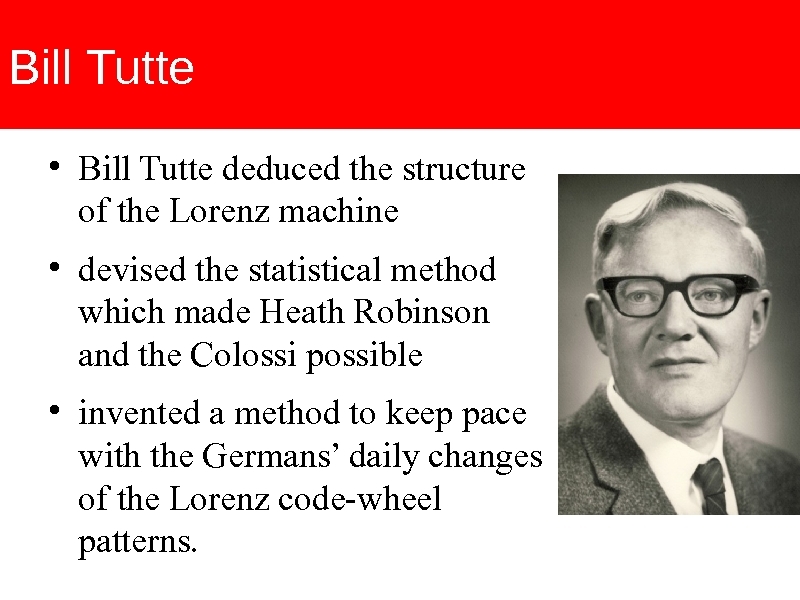 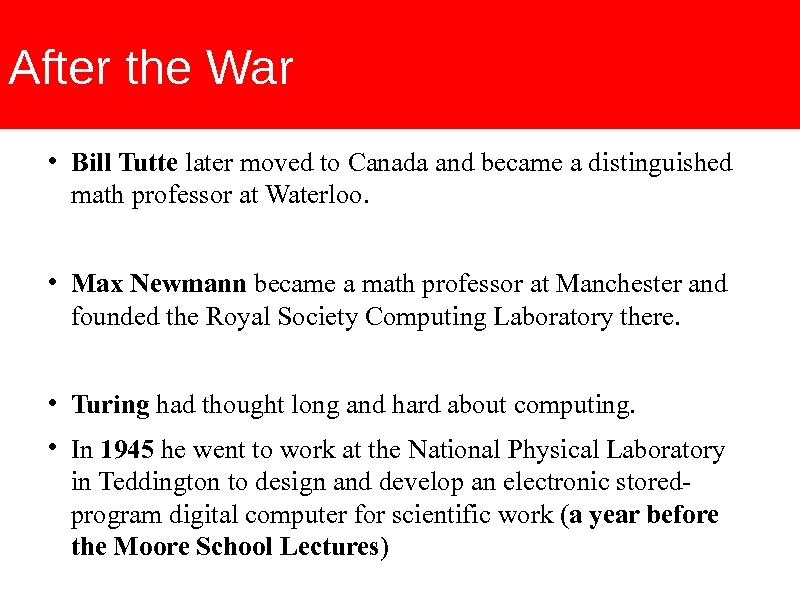 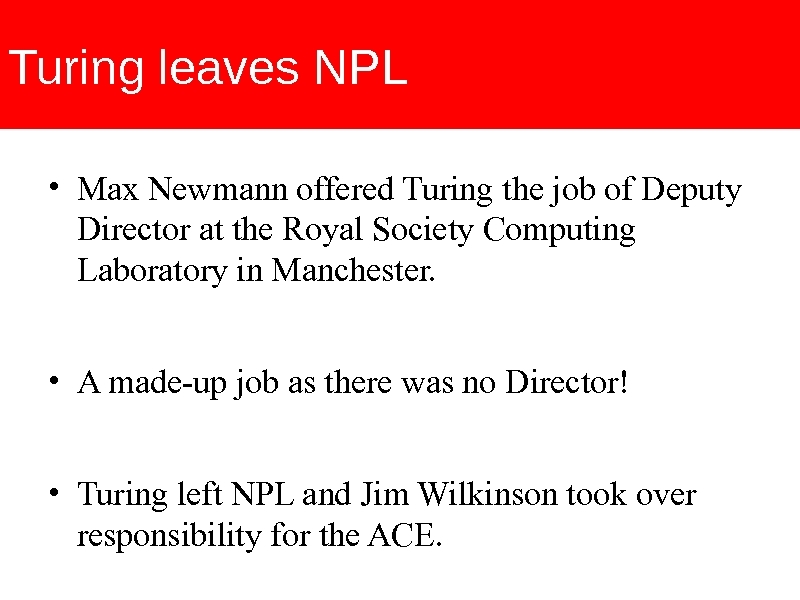 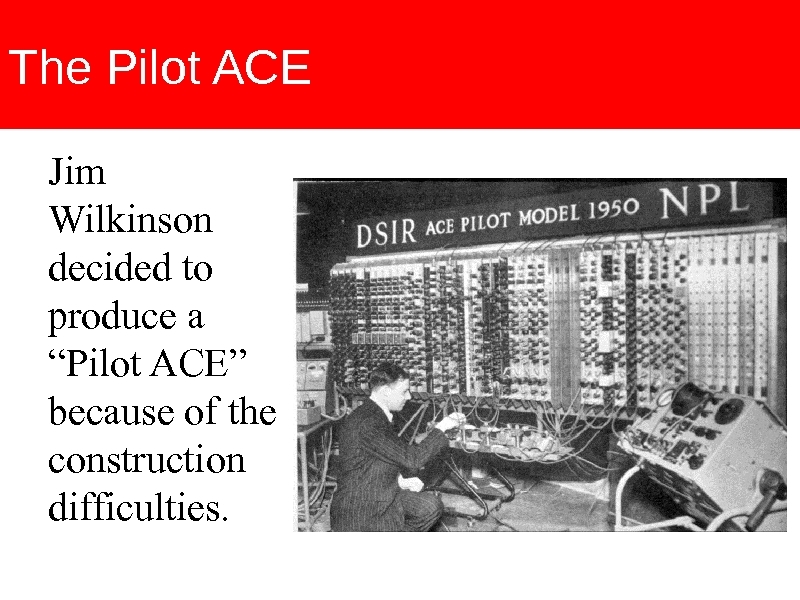 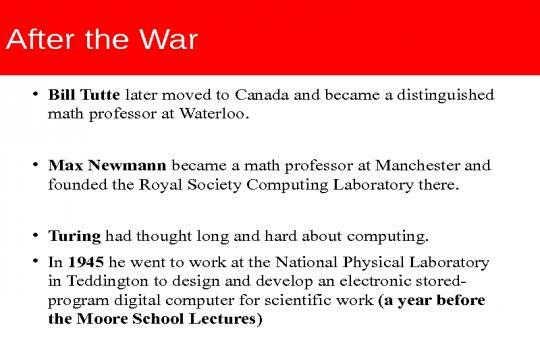 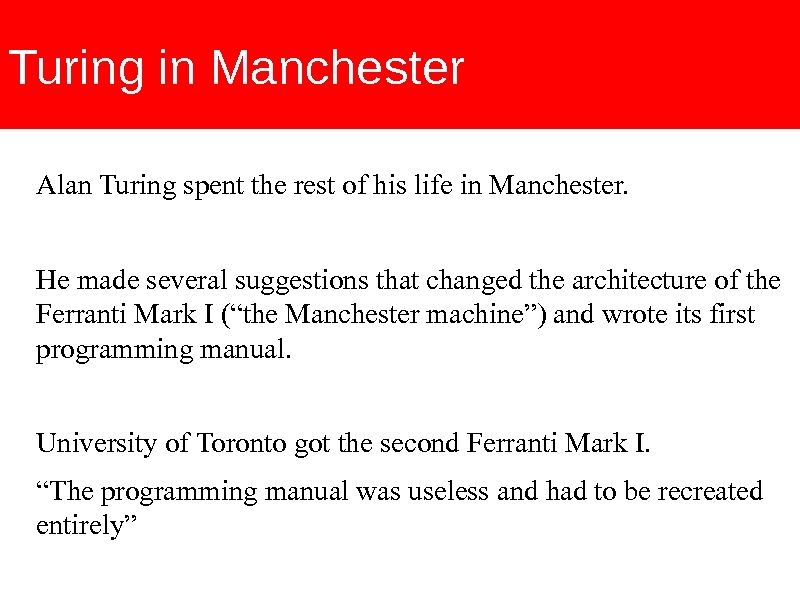 He left the NPL before the machine was operational but made other contributions to early computers such as those being constructed at Manchester University. 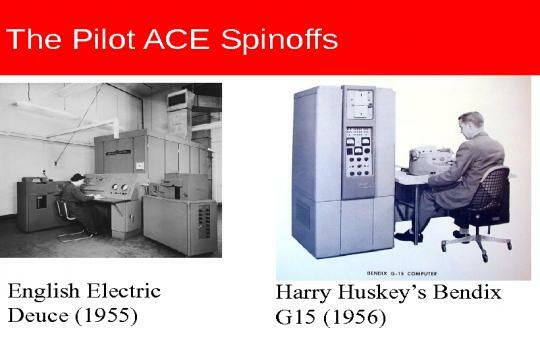 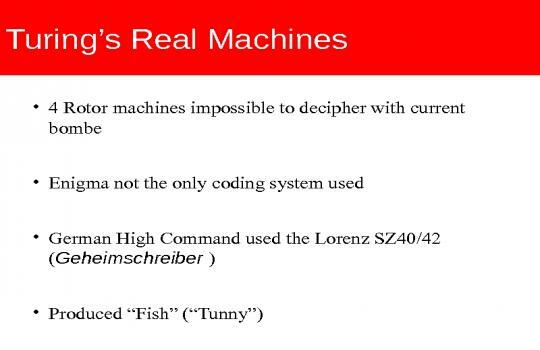 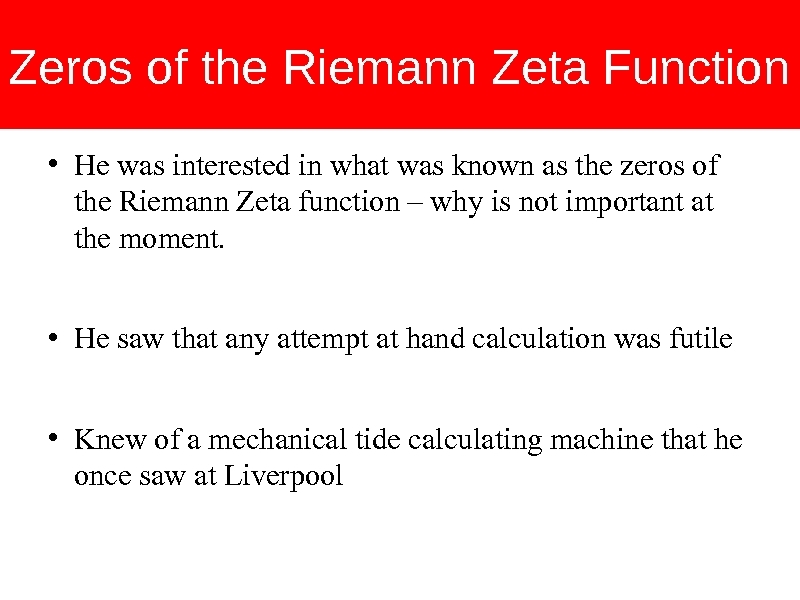 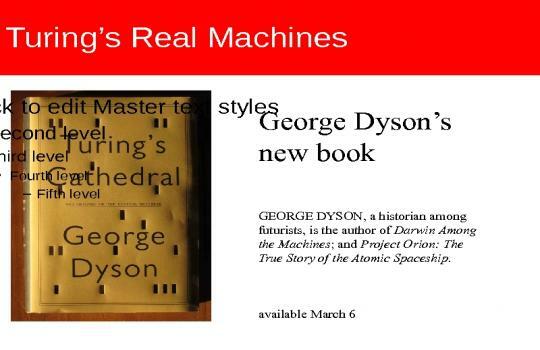 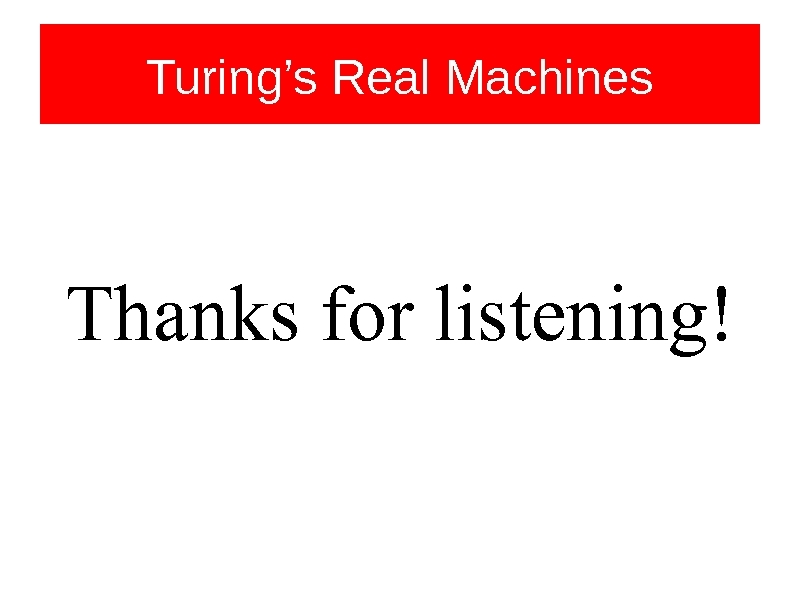 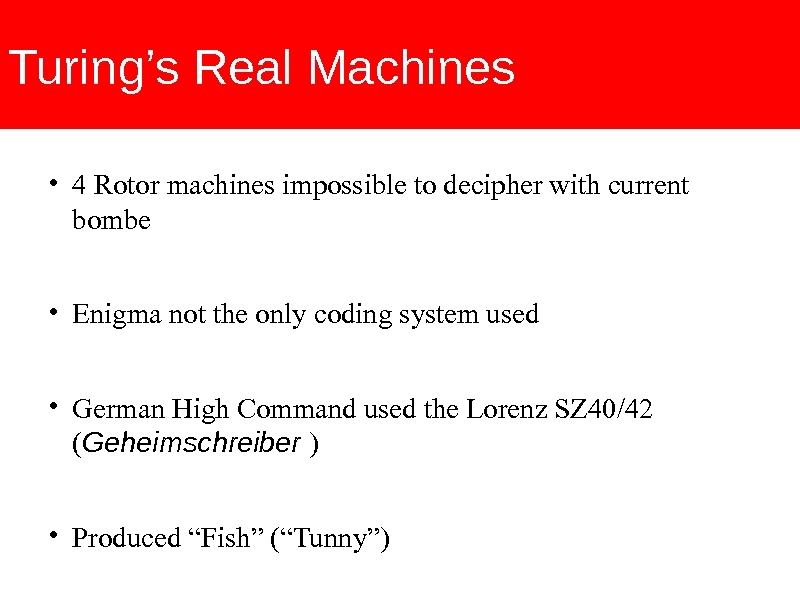 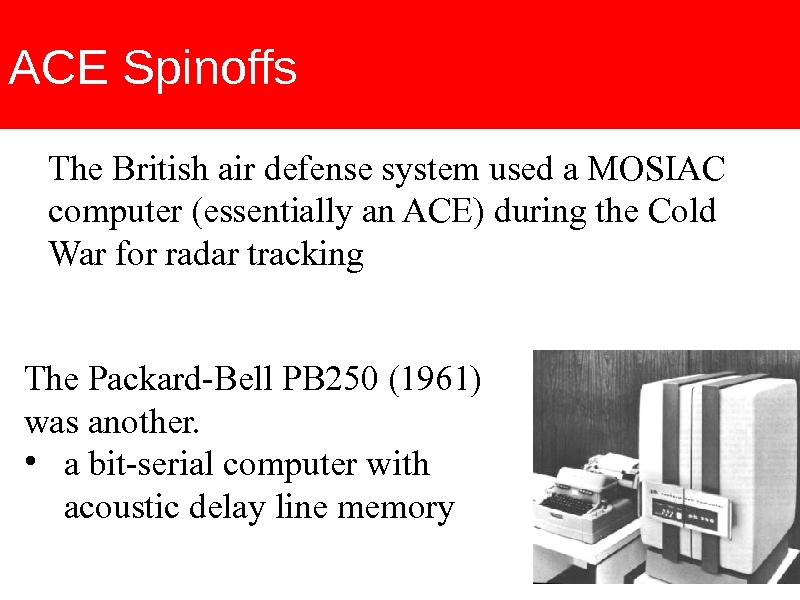 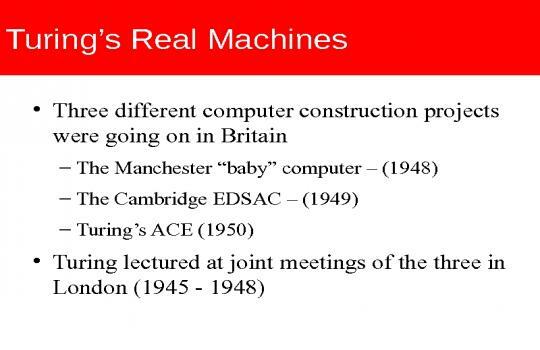 This talk will describe some of his ideas behind these machines. 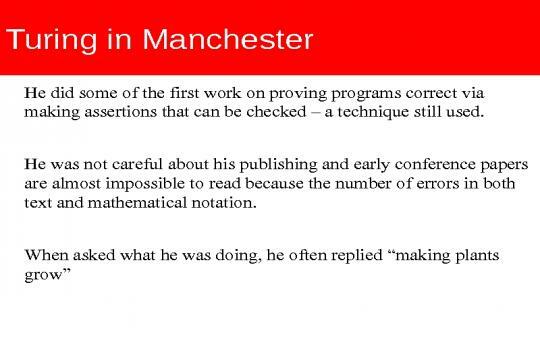 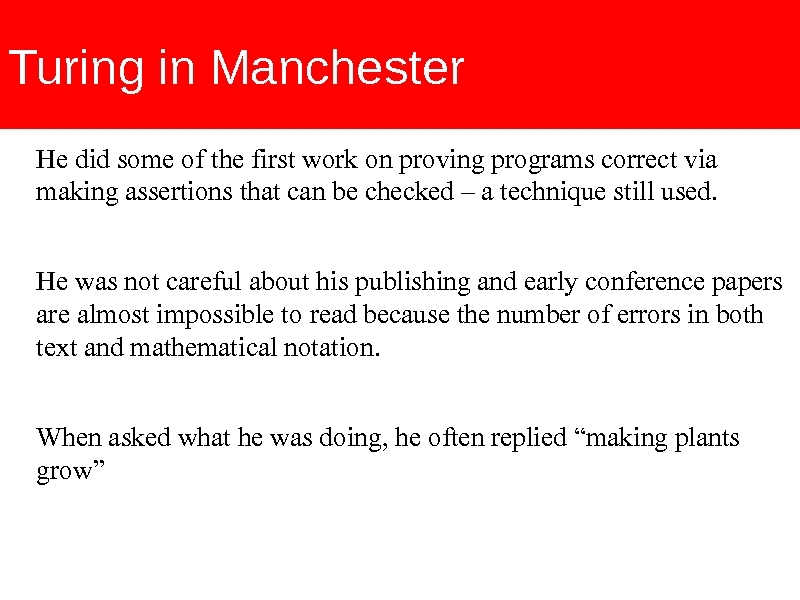 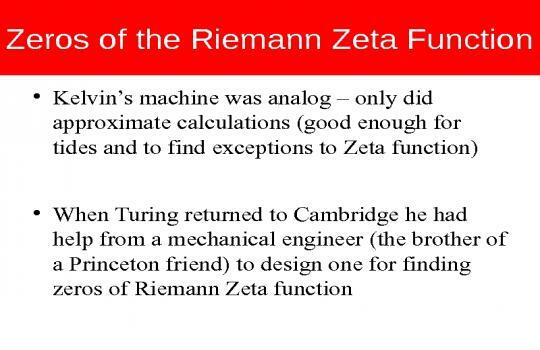 Alan Turing and the Decision Problem, Richard Zach. 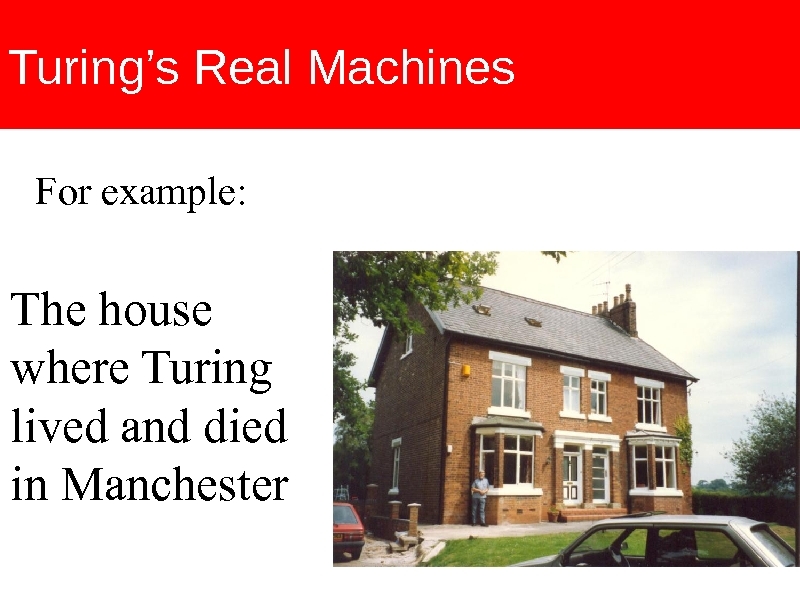 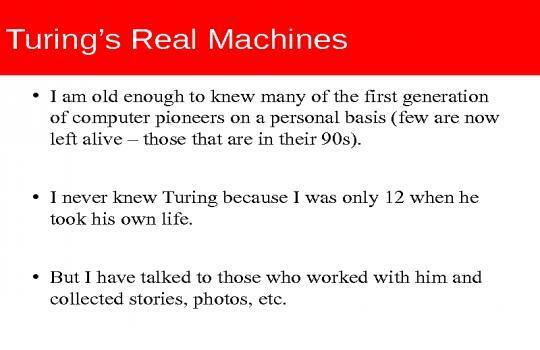 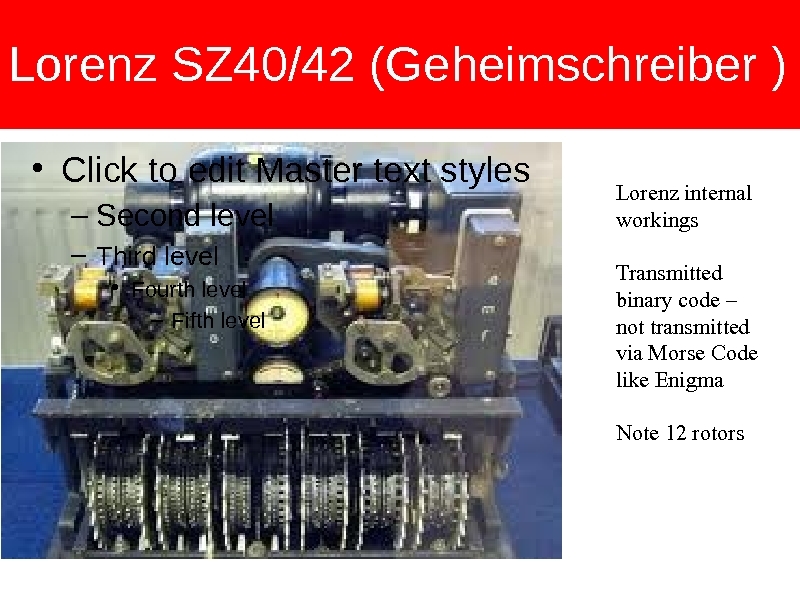 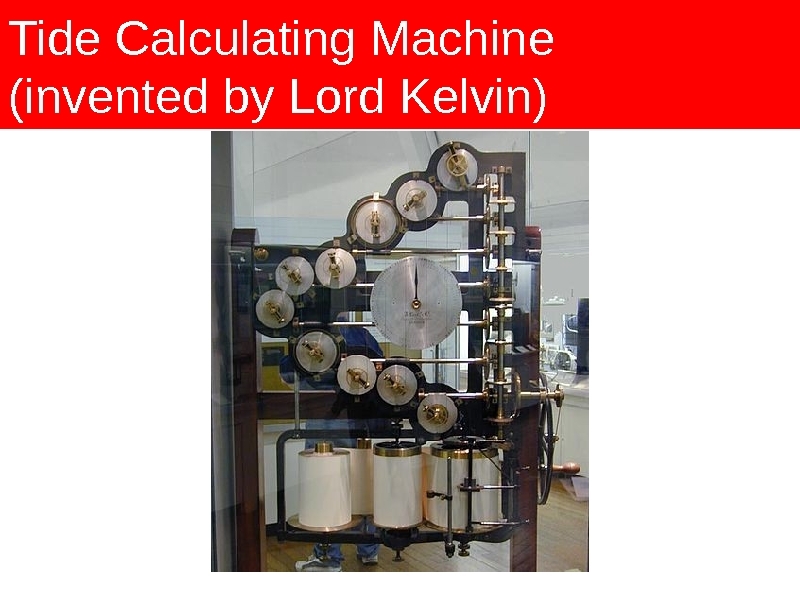 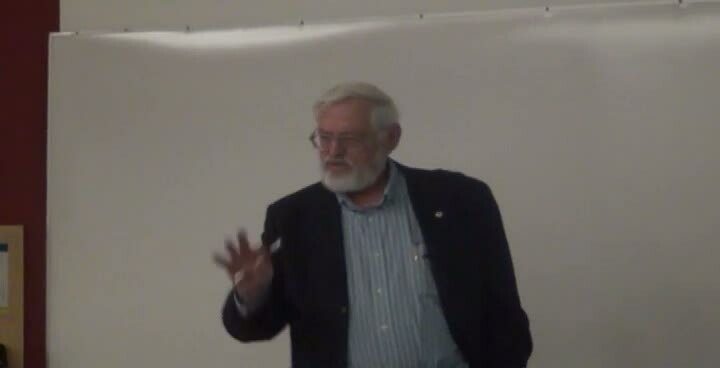 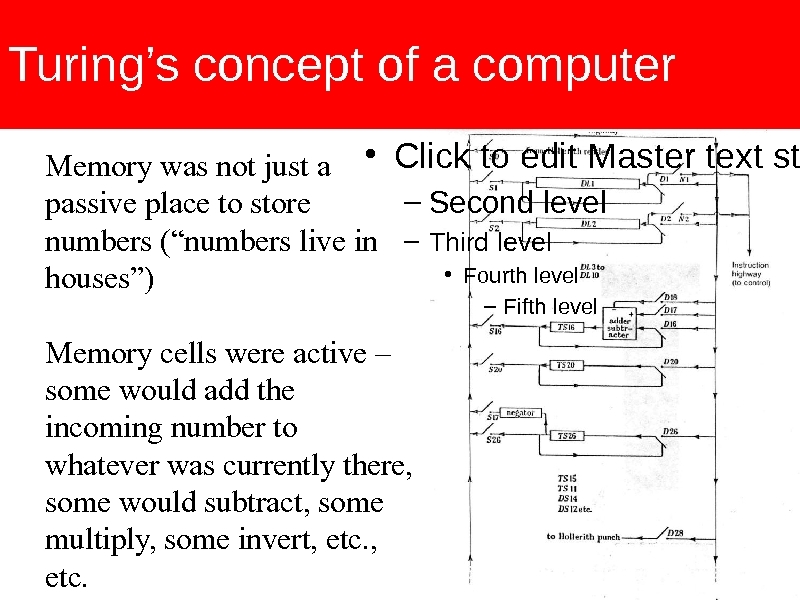 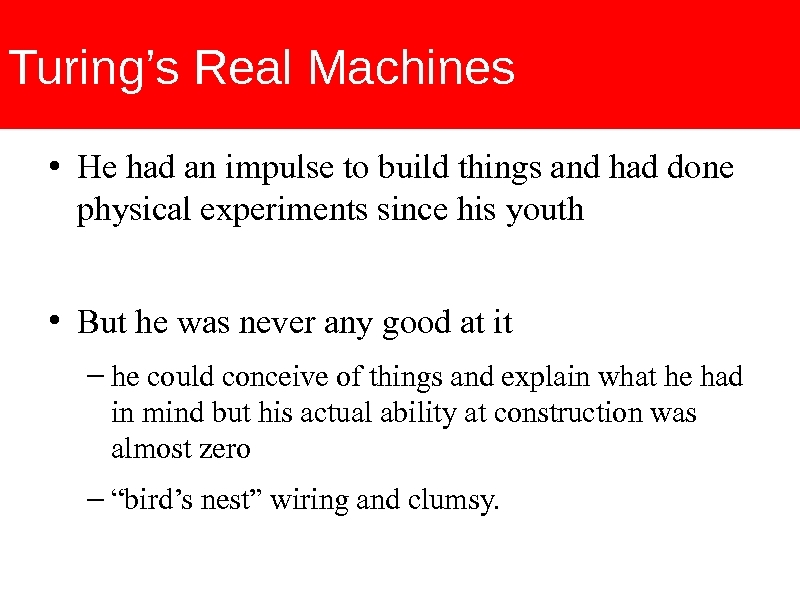 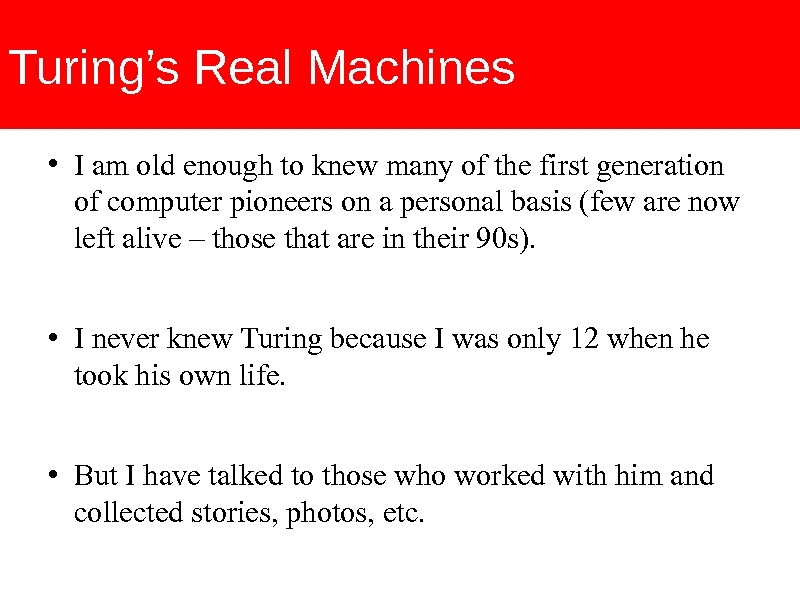 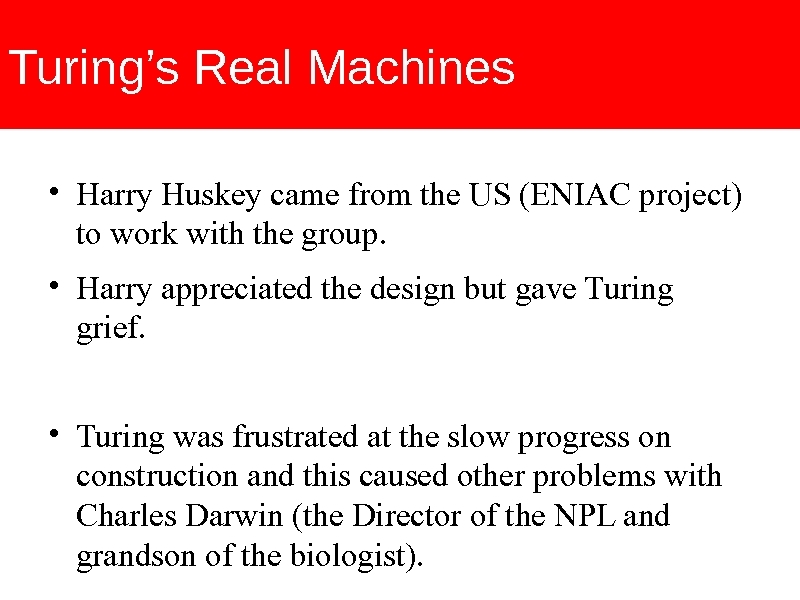 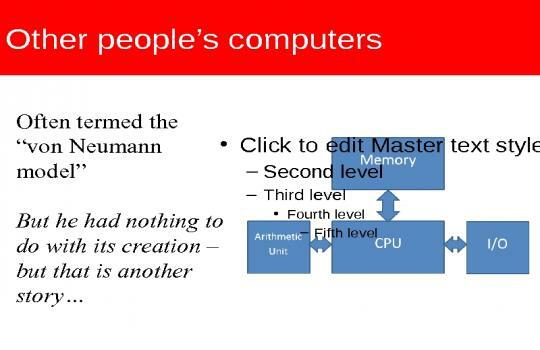 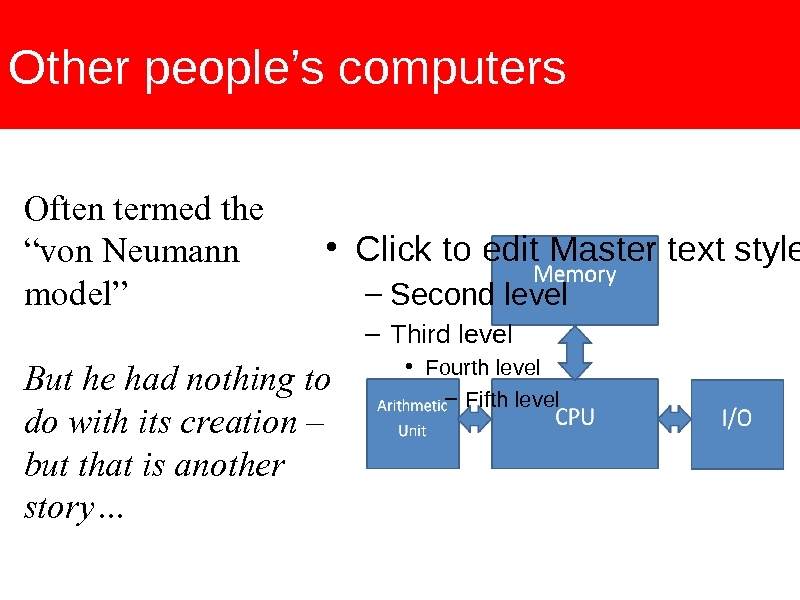 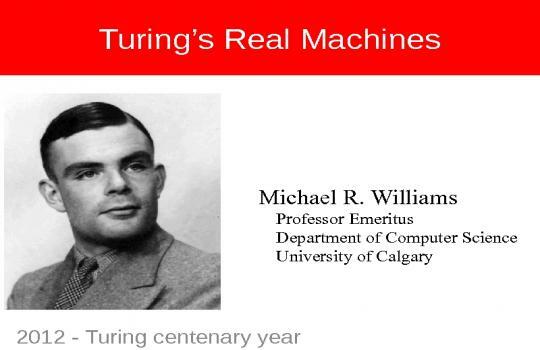 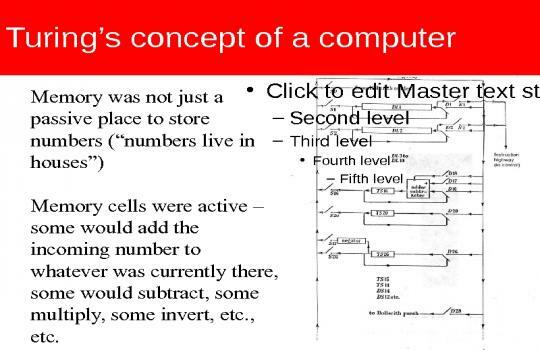 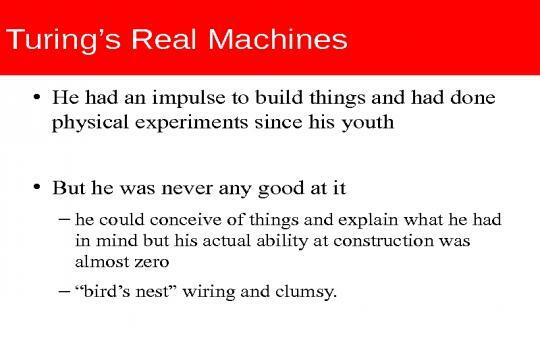 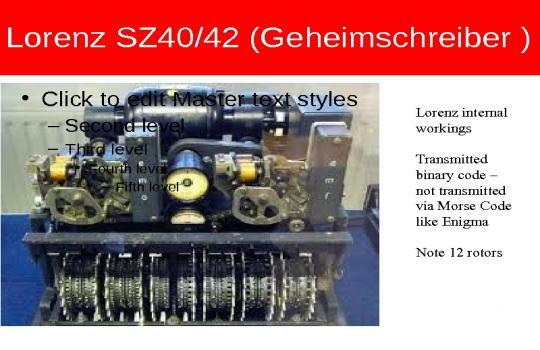 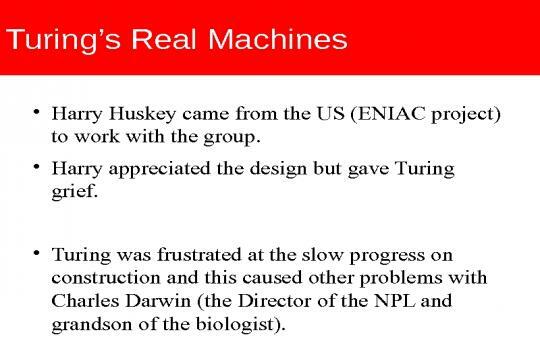 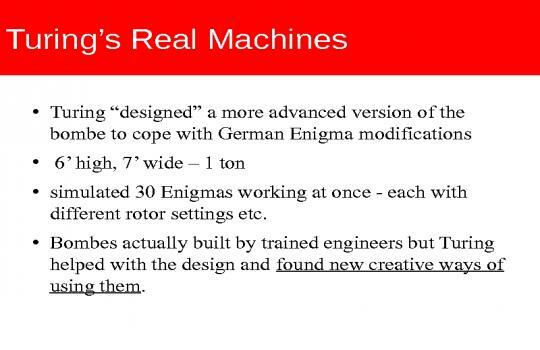 Turing's Real Machine, Michael R. Williams. 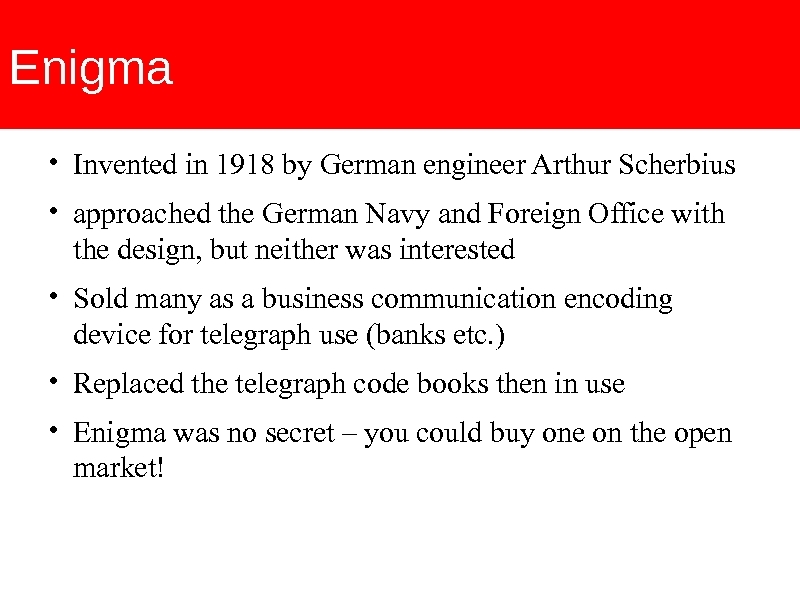 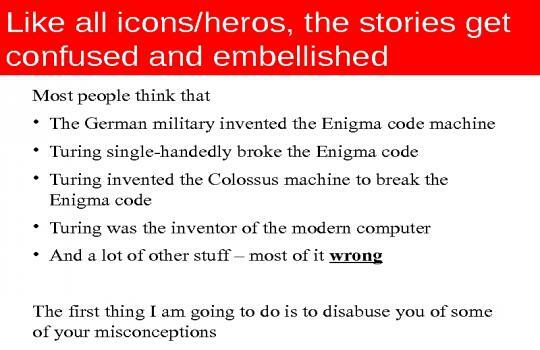 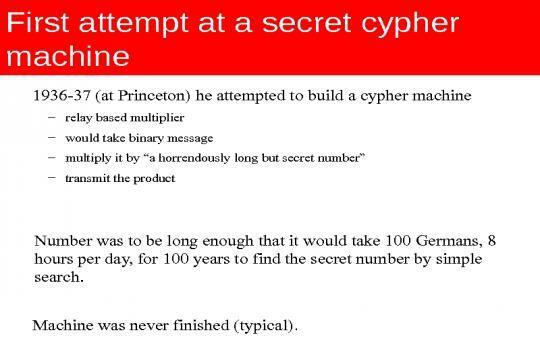 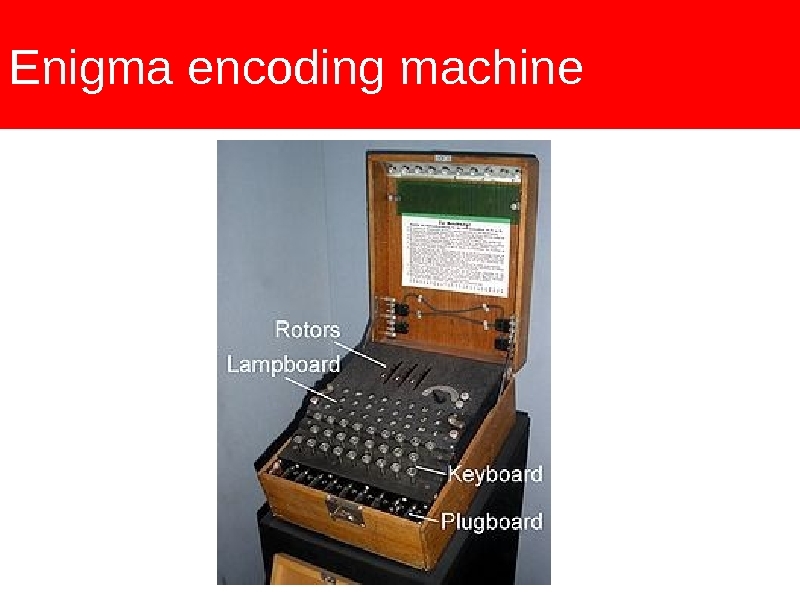 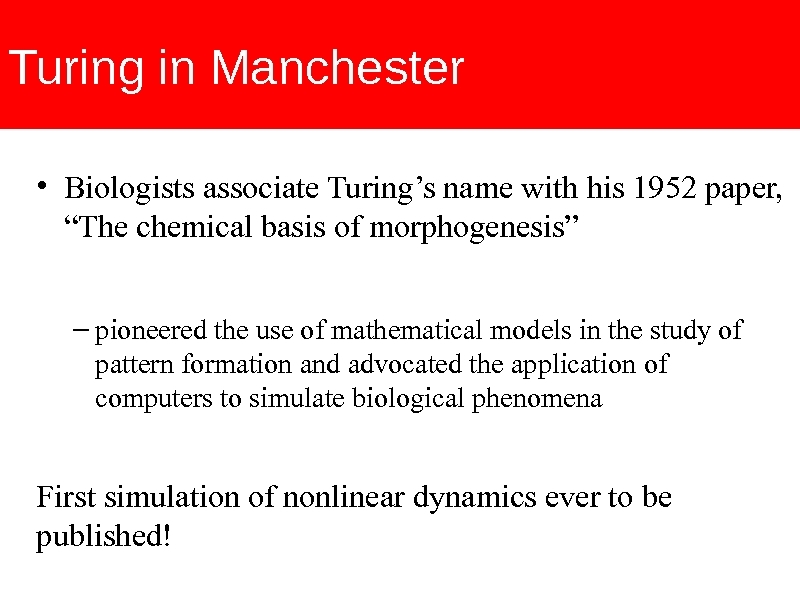 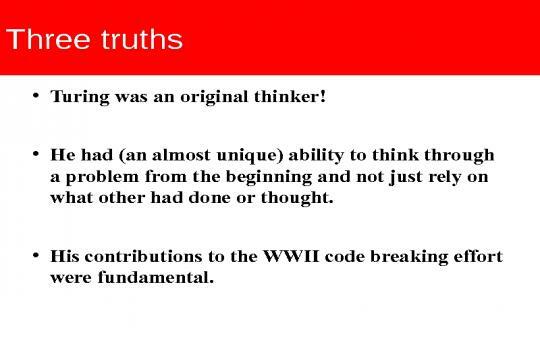 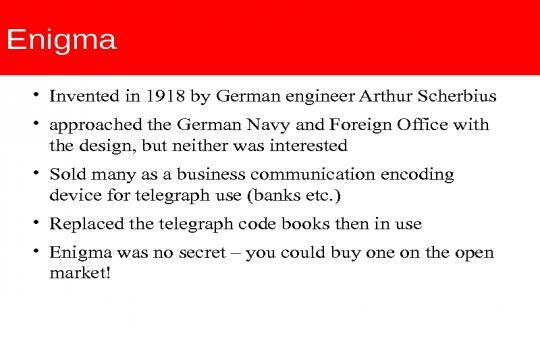 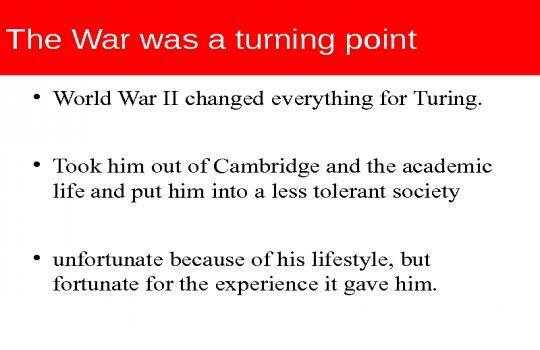 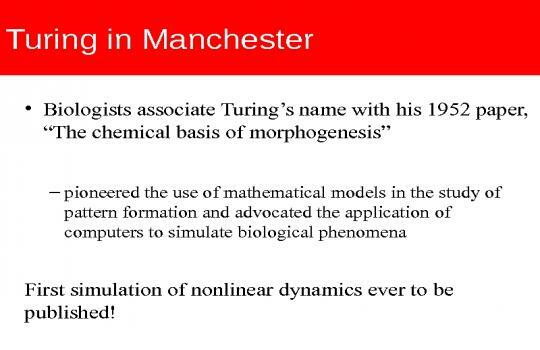 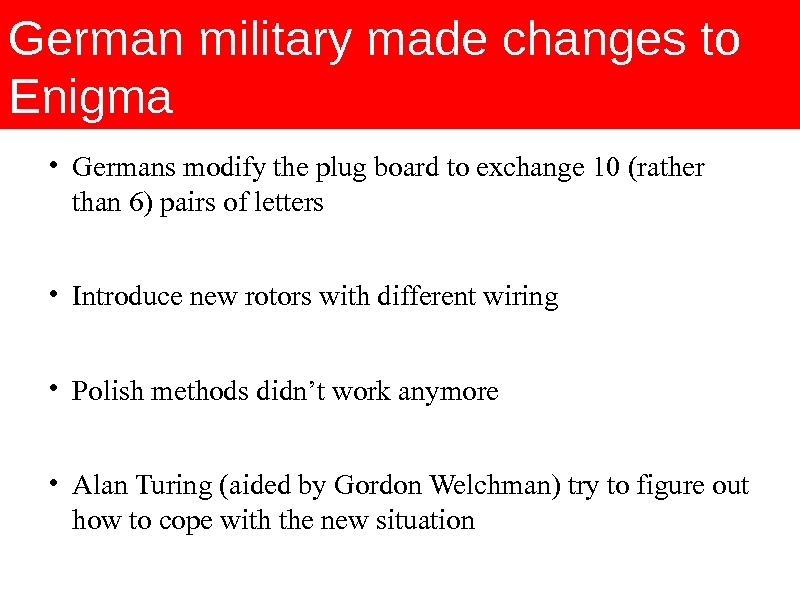 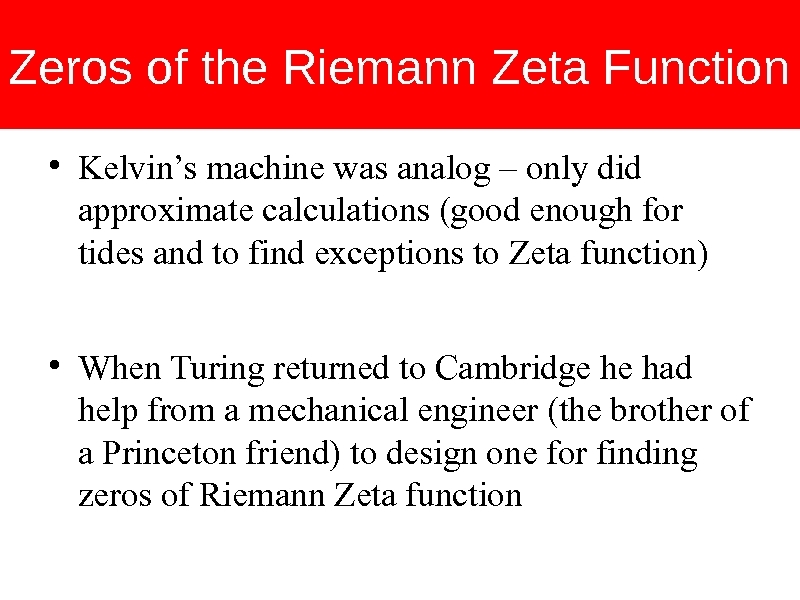 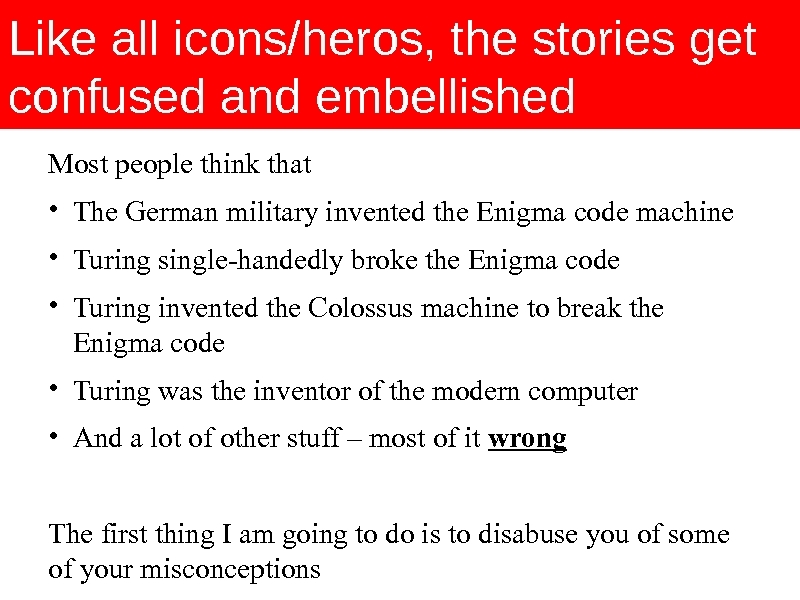 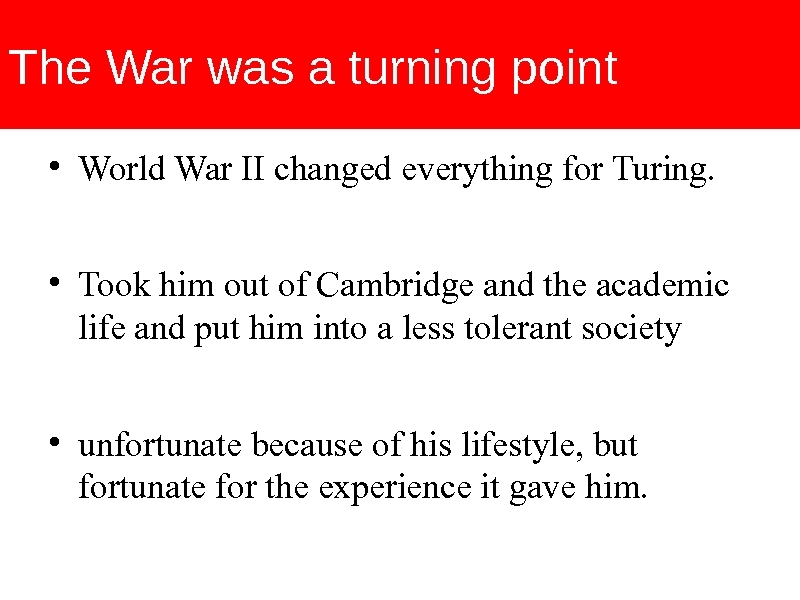 Alan Turing and Enigma, John R. Ferris.